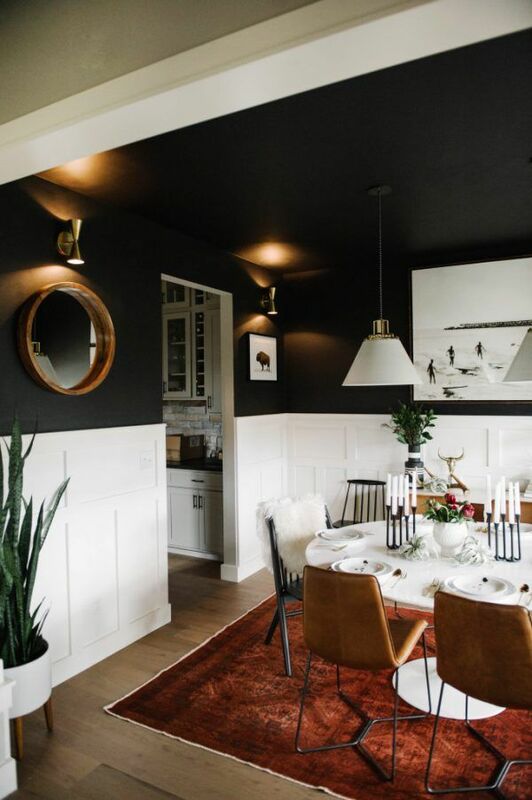 Psst, @suburbanbitches—we don't have dinner plans. 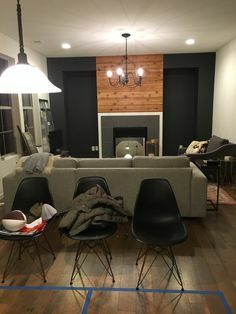 (HINT.) 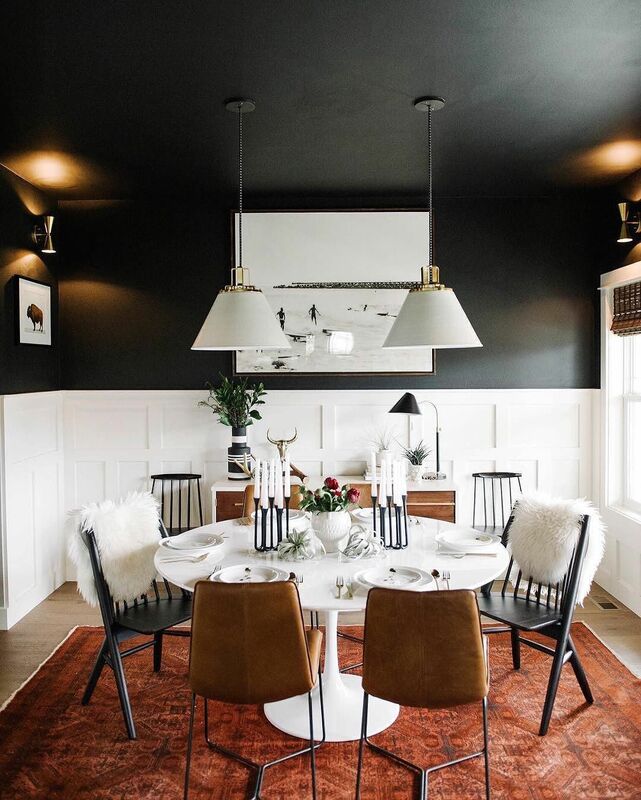 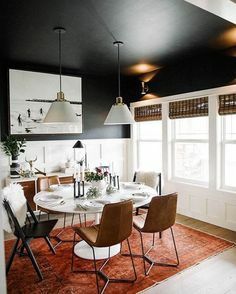 #mywestelm / 🛍 Shop those dining chairs + task lamp with the link in profile! 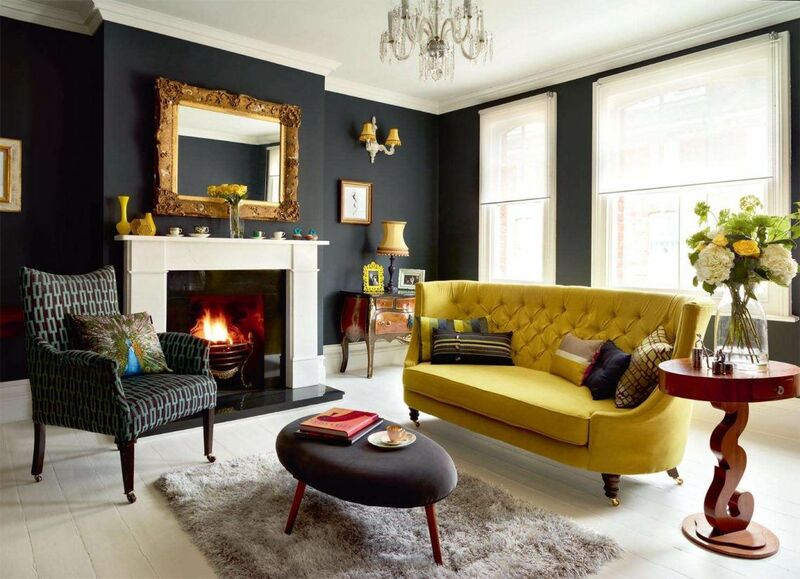 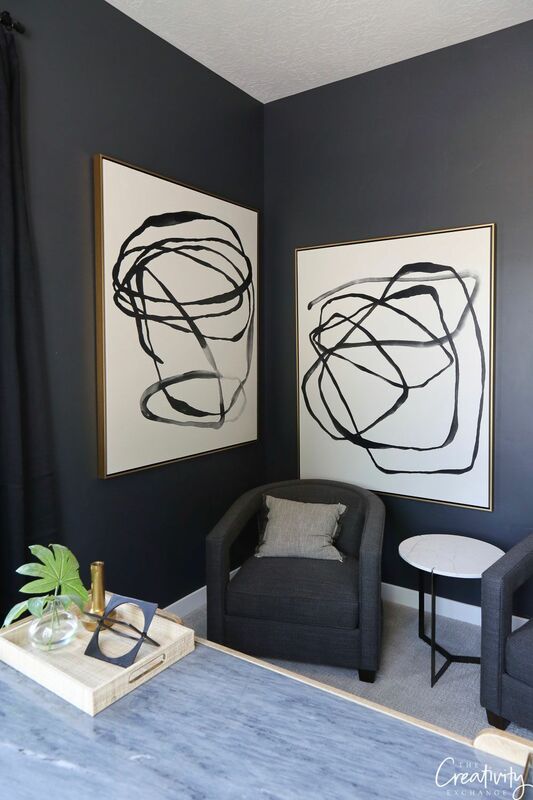 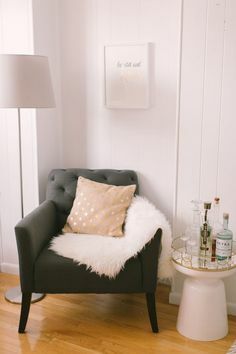 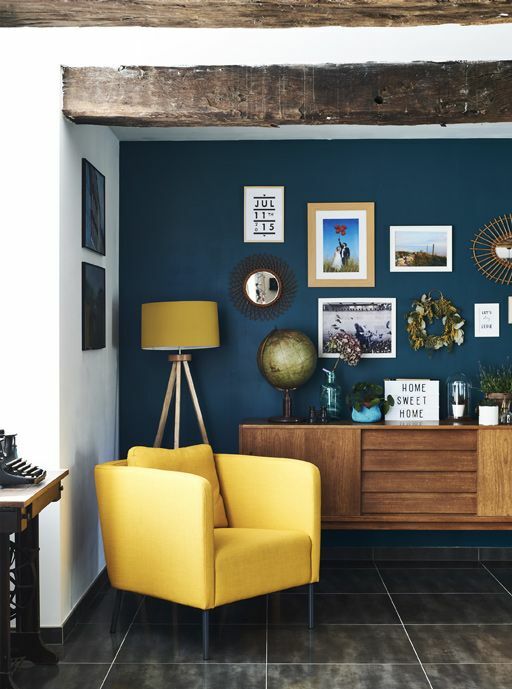 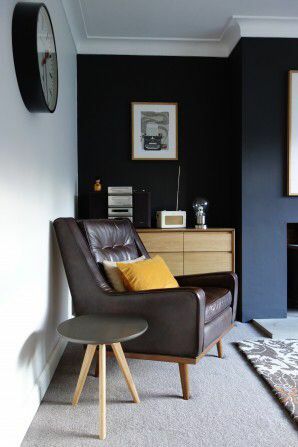 A yellow armchair against a dark blue wall. 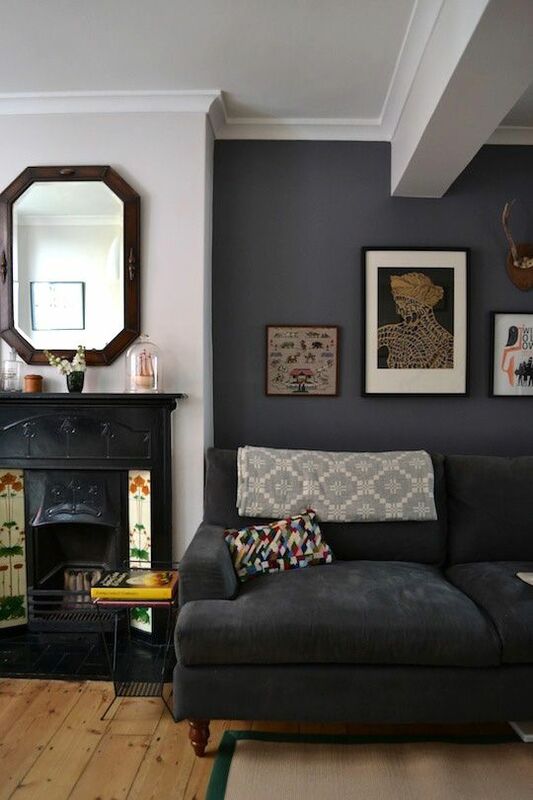 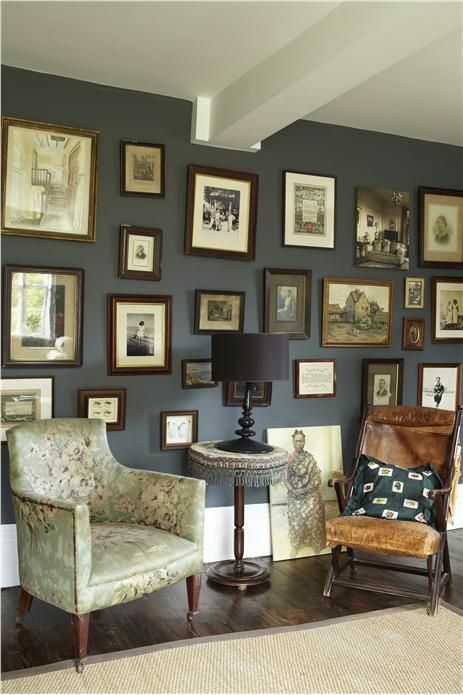 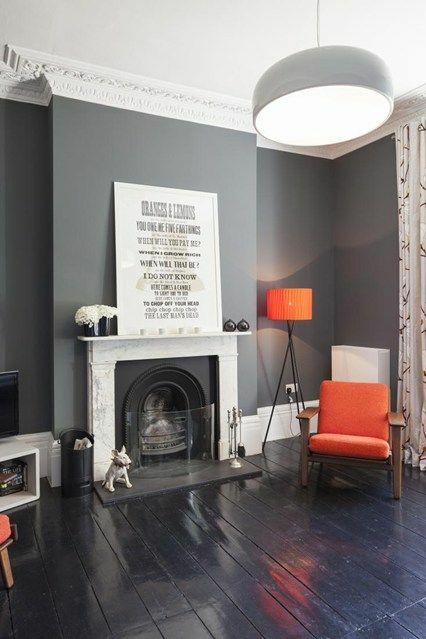 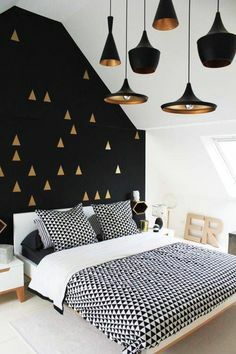 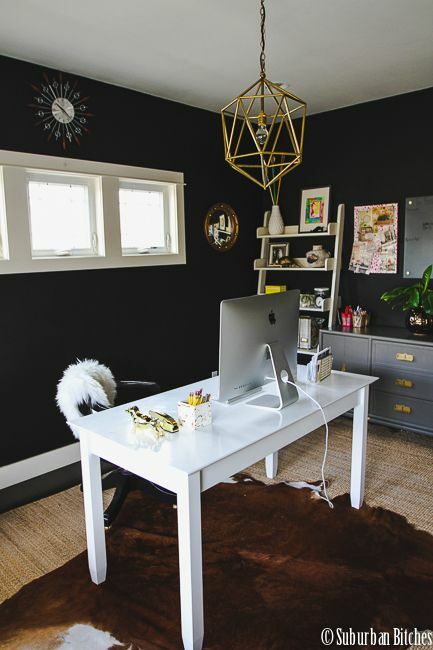 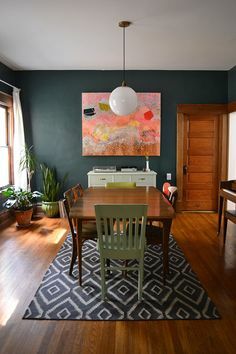 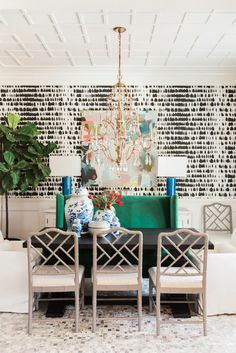 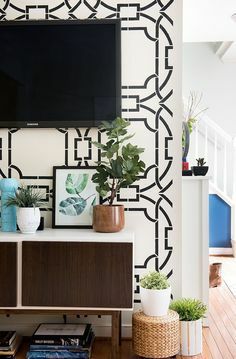 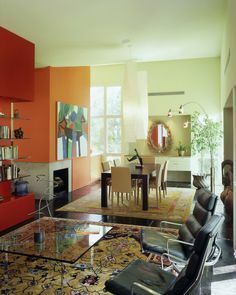 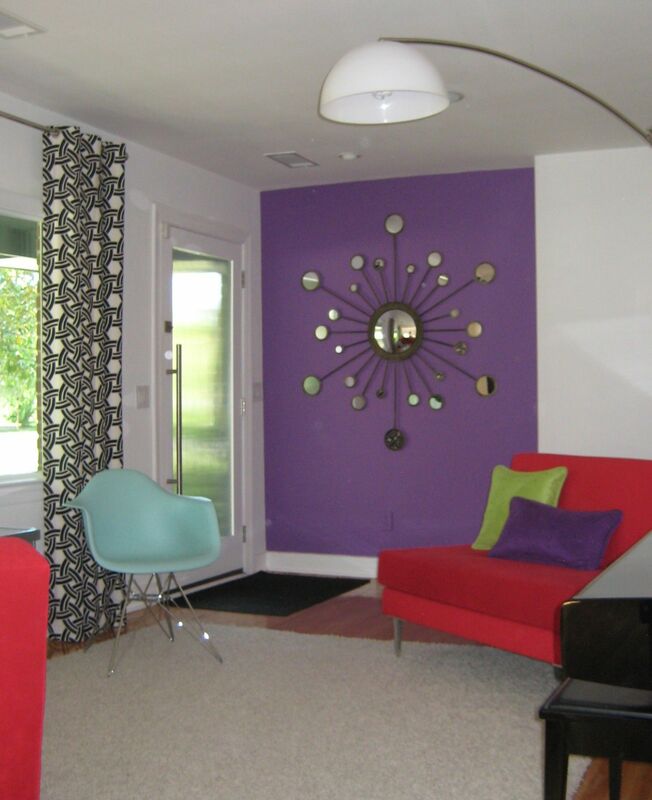 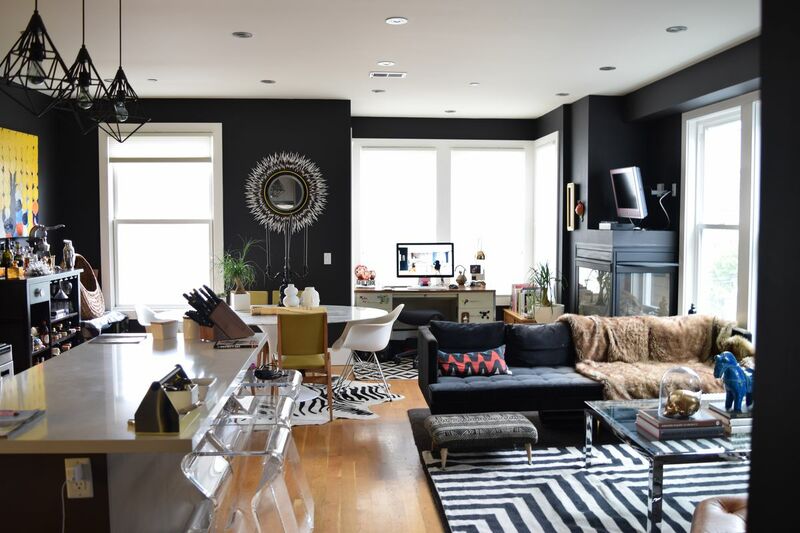 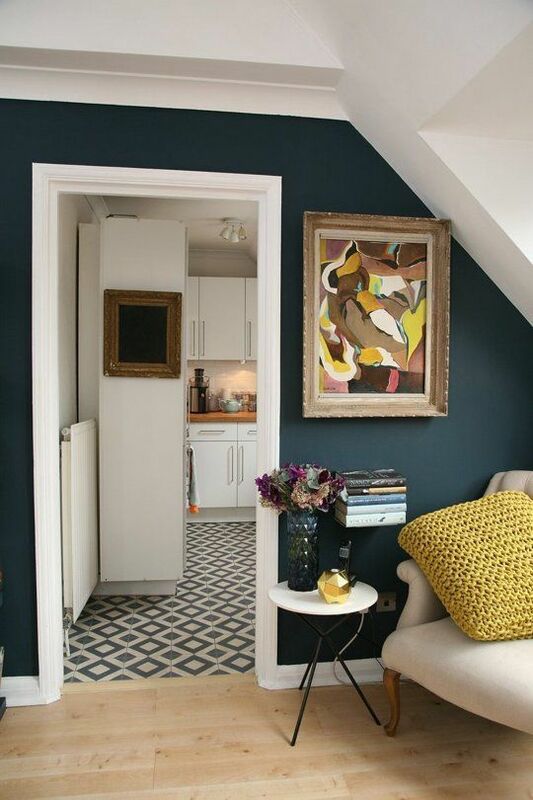 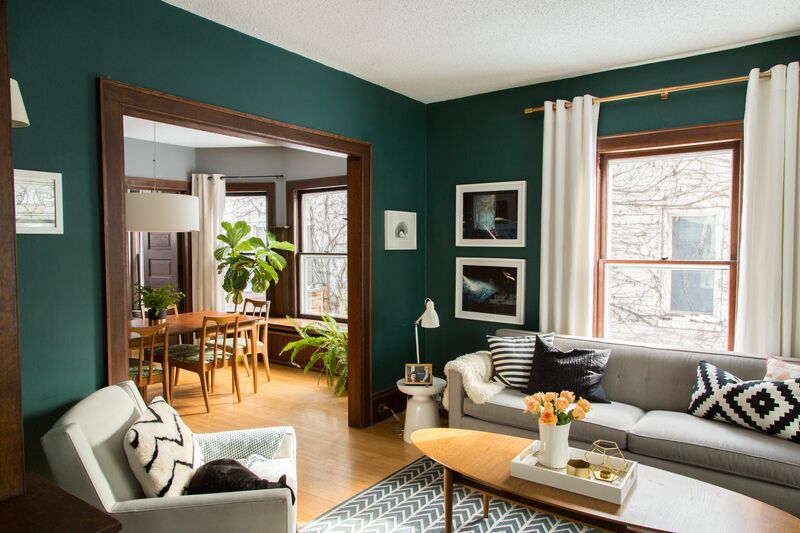 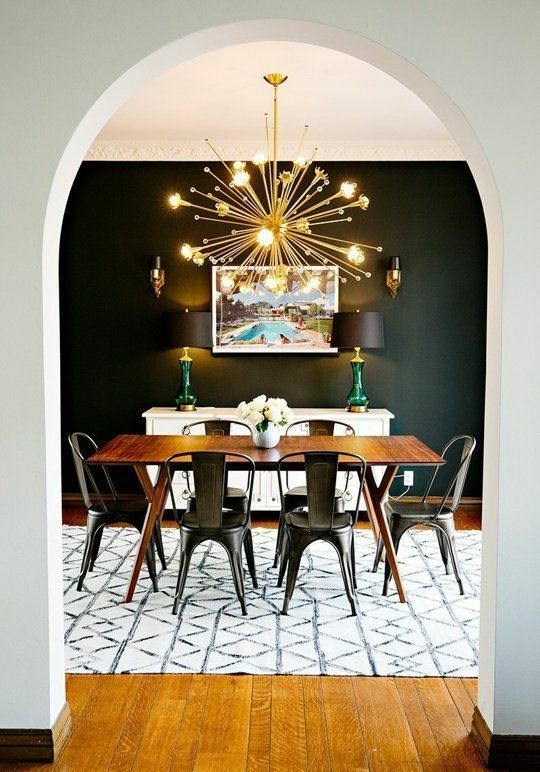 I love this funky update for a Victorian home! 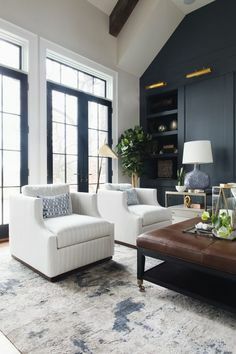 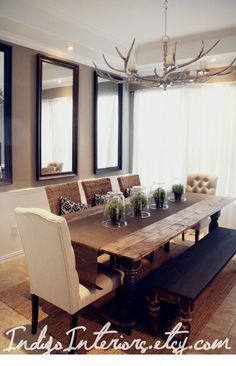 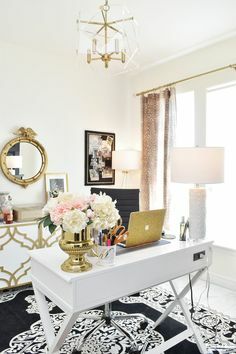 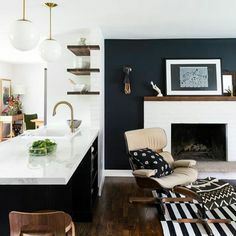 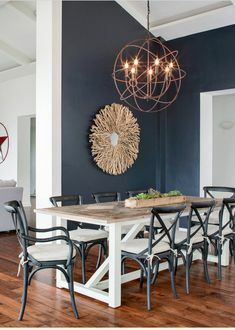 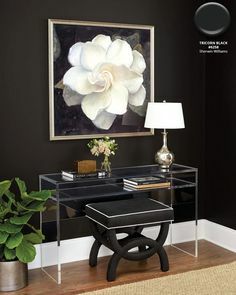 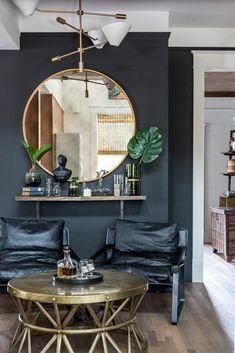 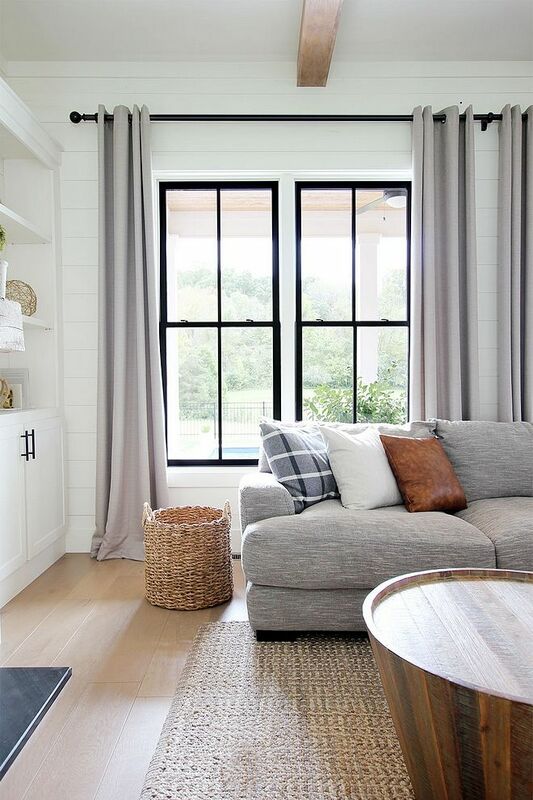 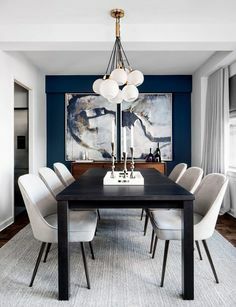 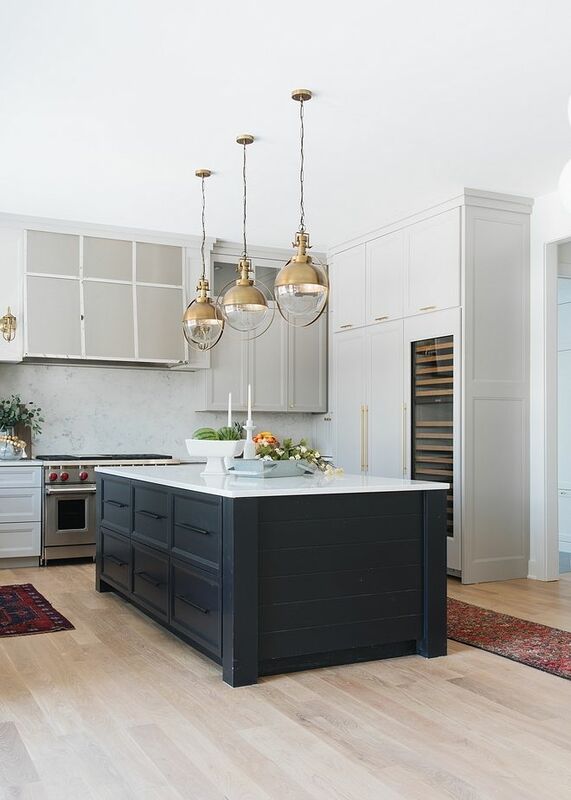 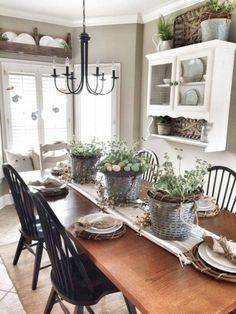 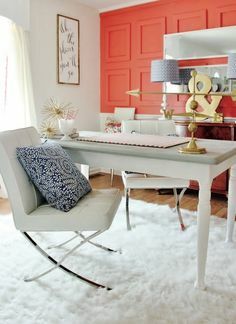 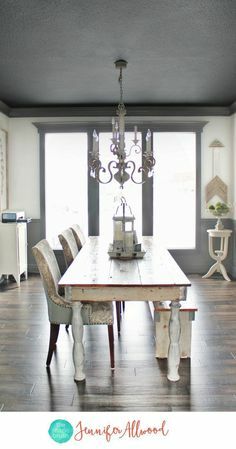 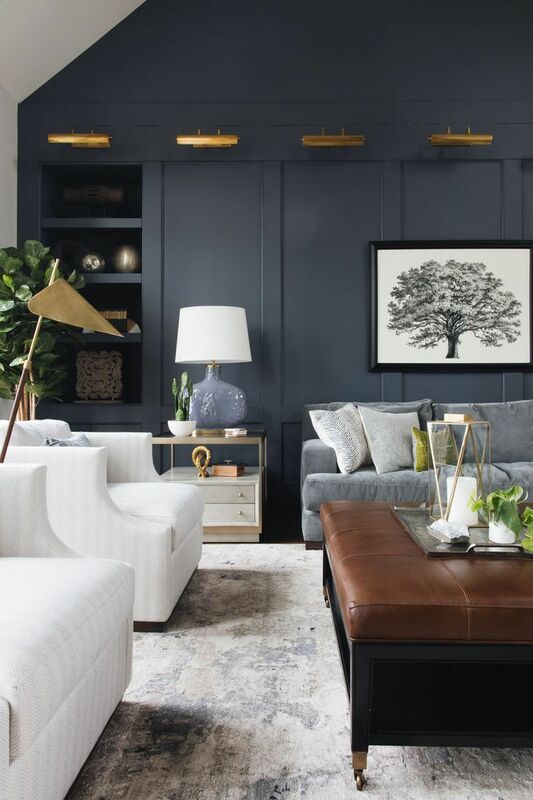 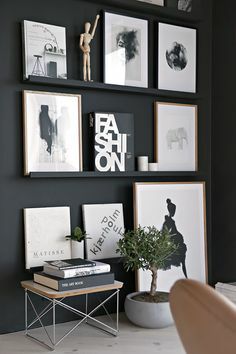 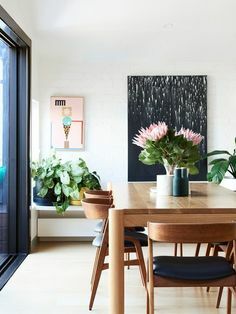 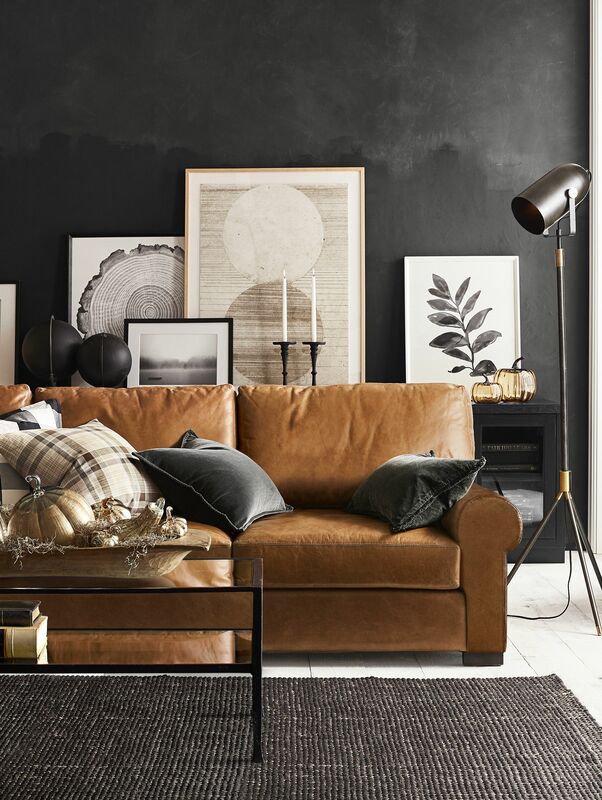 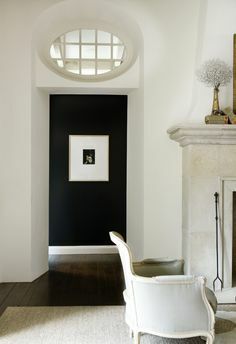 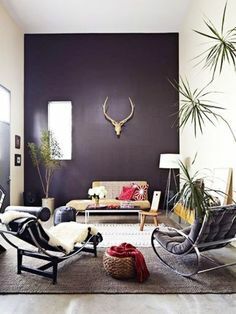 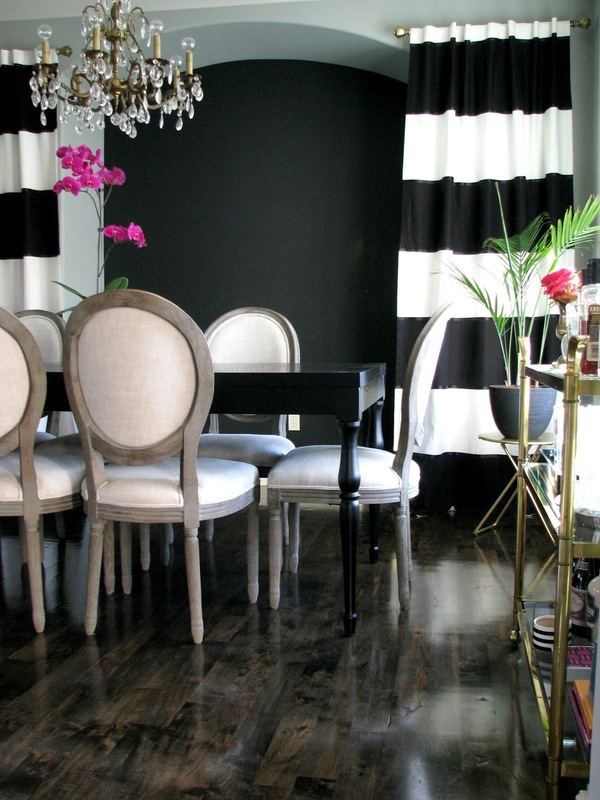 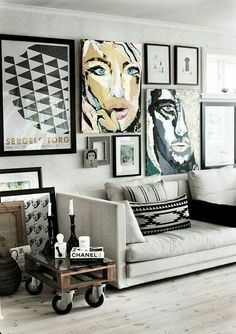 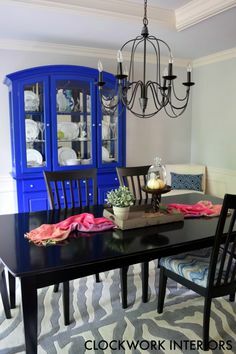 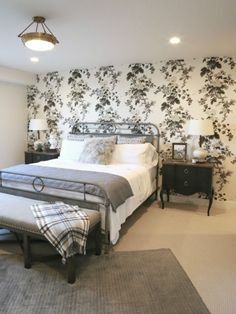 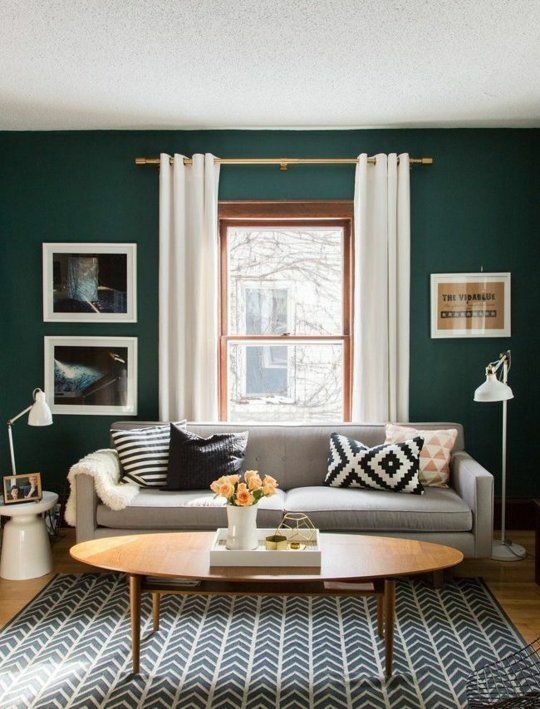 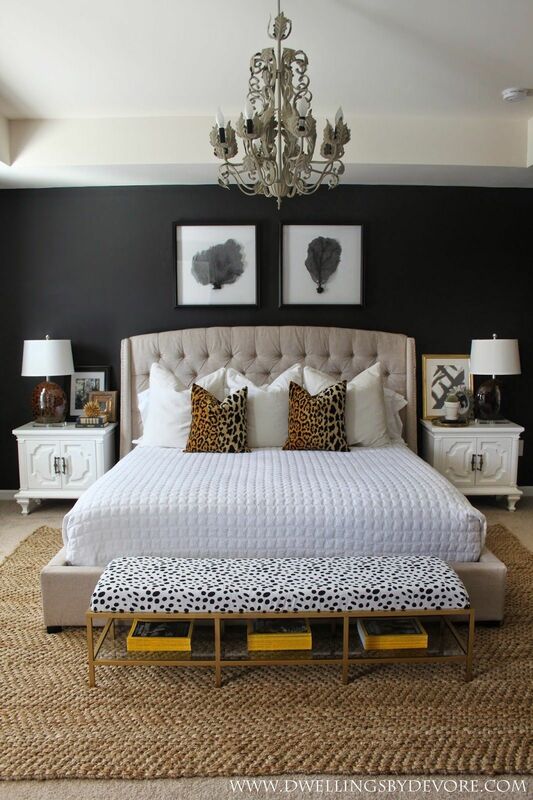 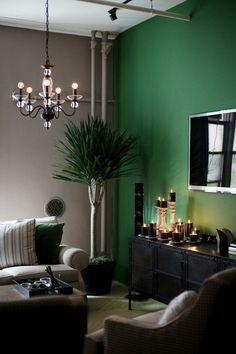 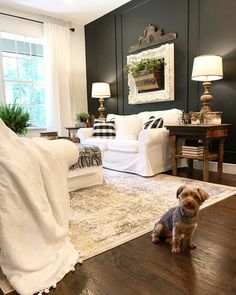 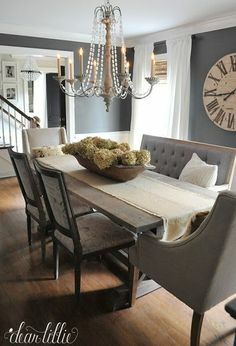 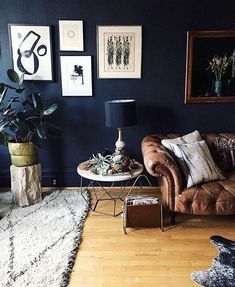 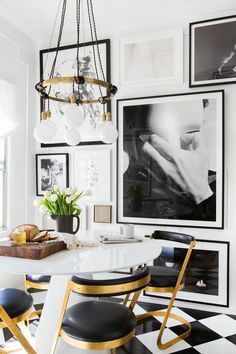 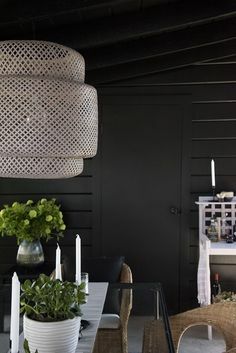 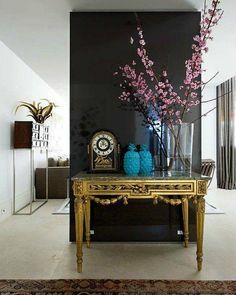 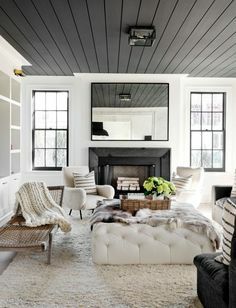 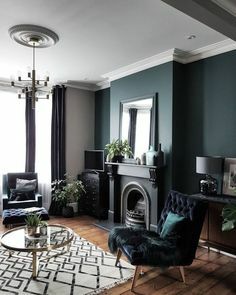 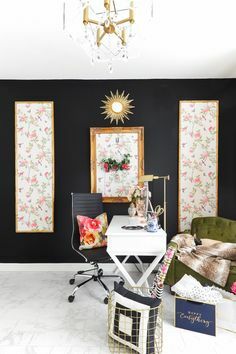 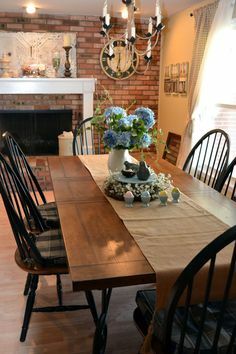 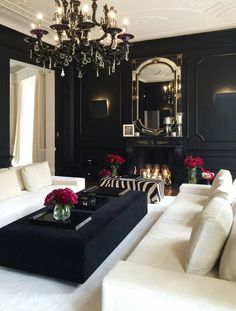 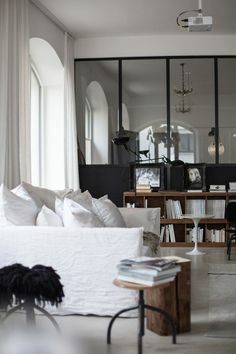 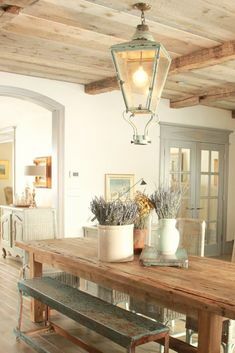 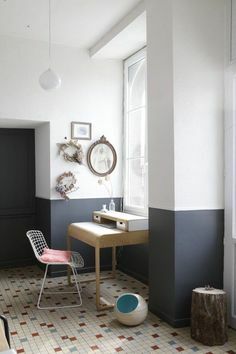 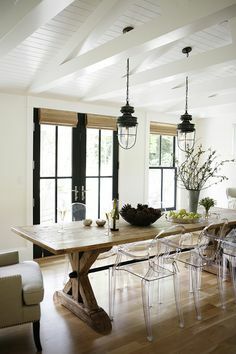 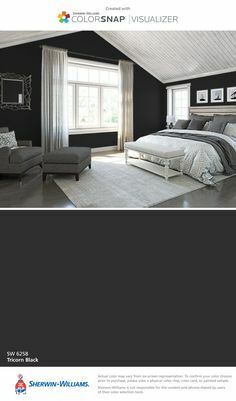 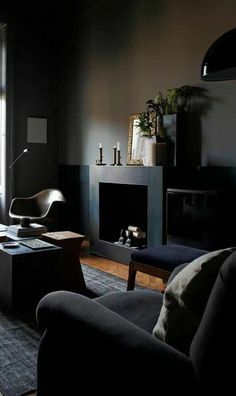 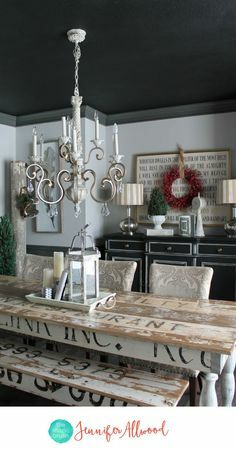 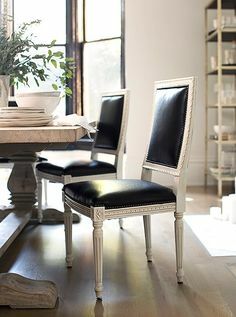 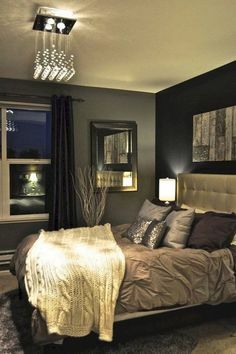 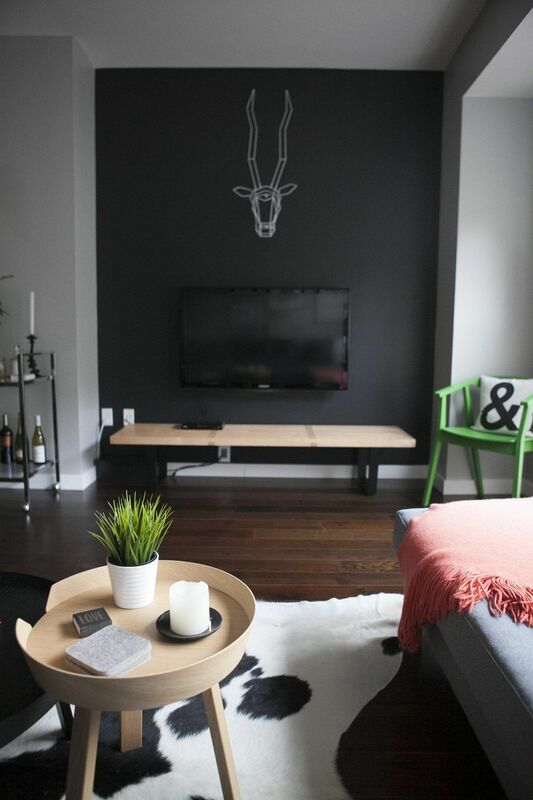 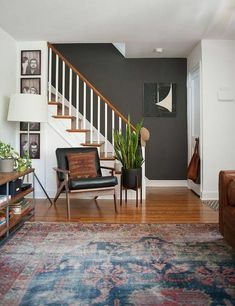 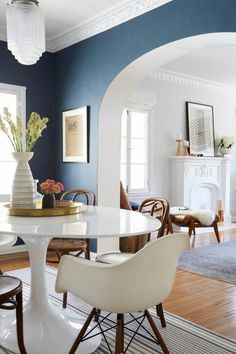 I didn't think I could pull off Victorian style with my contemporary leanings, but this gives me hope! 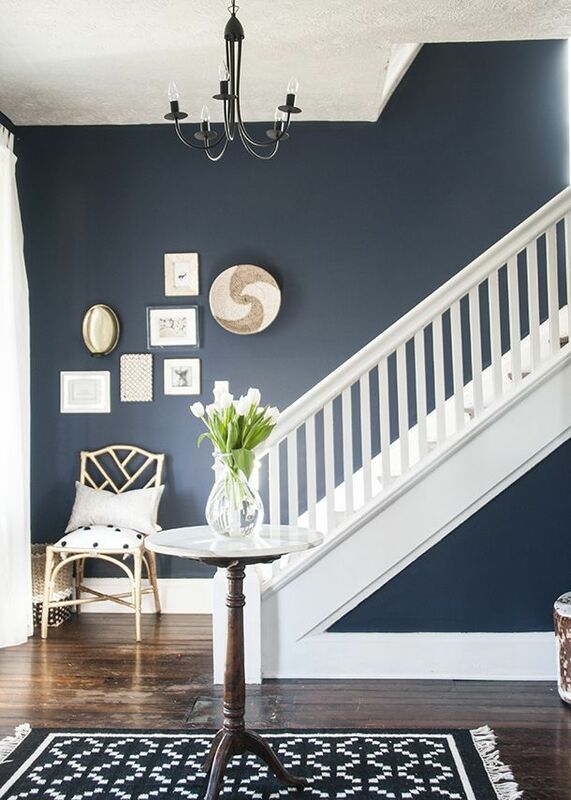 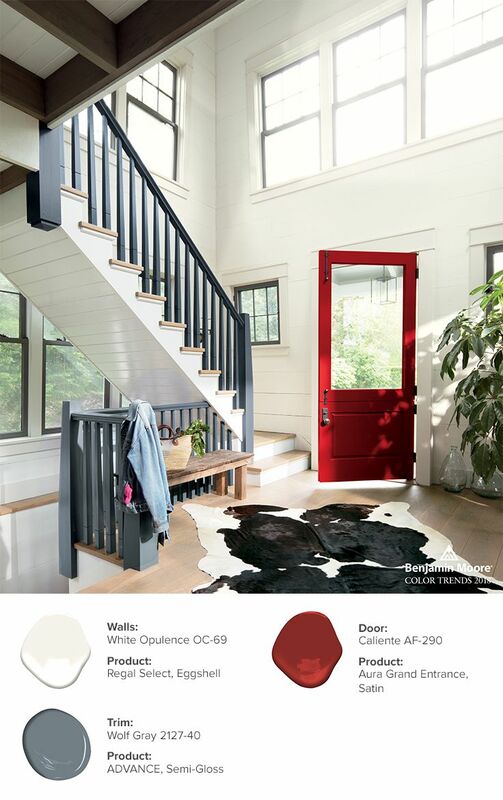 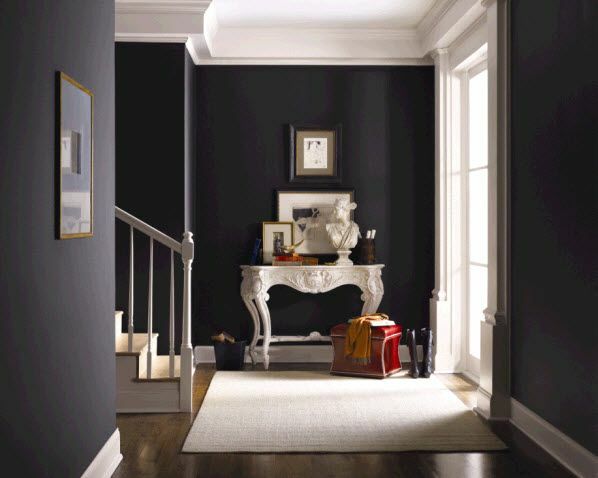 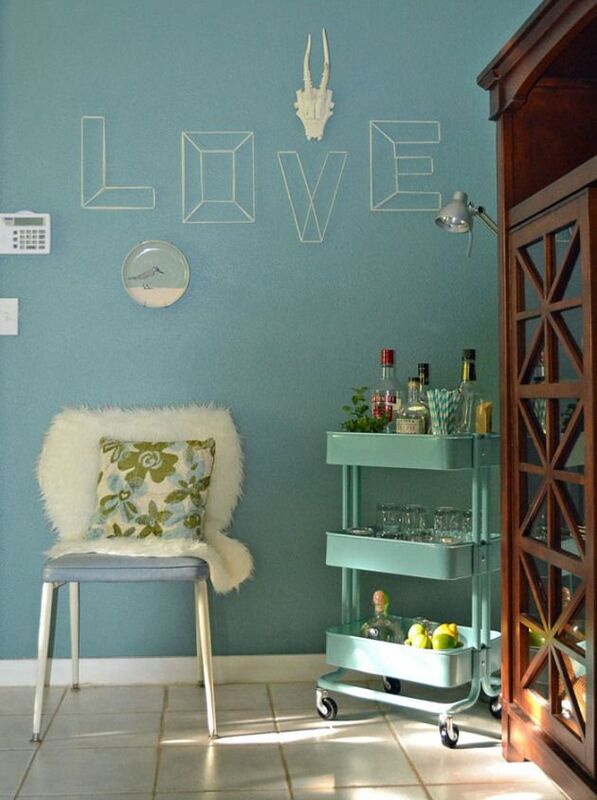 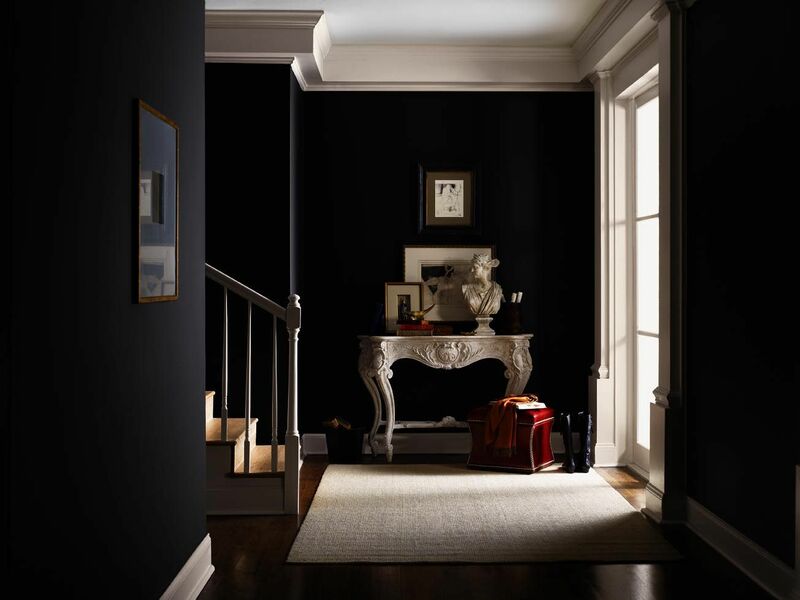 Spruce up your lackluster entryway with a splash of blue paint like Naval (SW 6244). 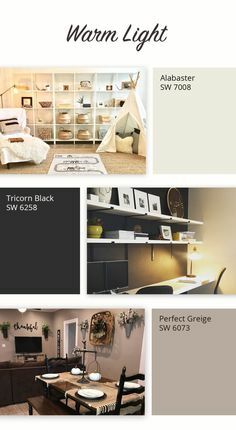 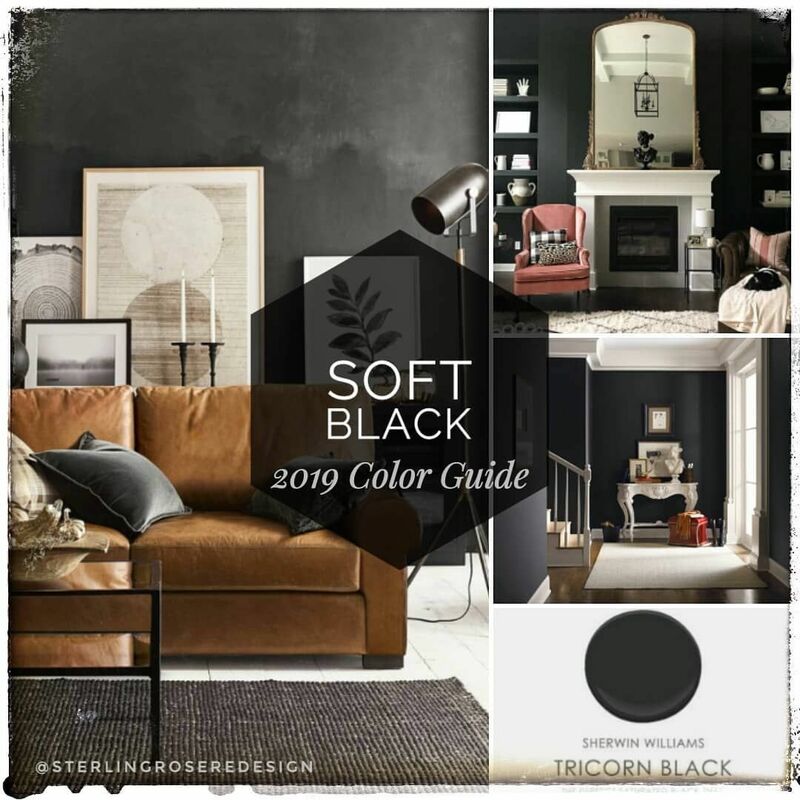 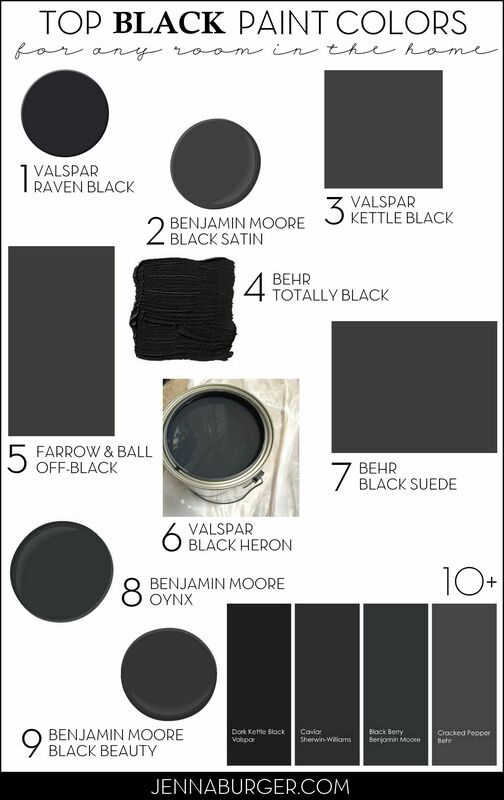 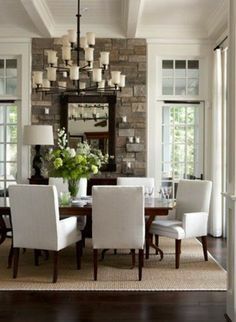 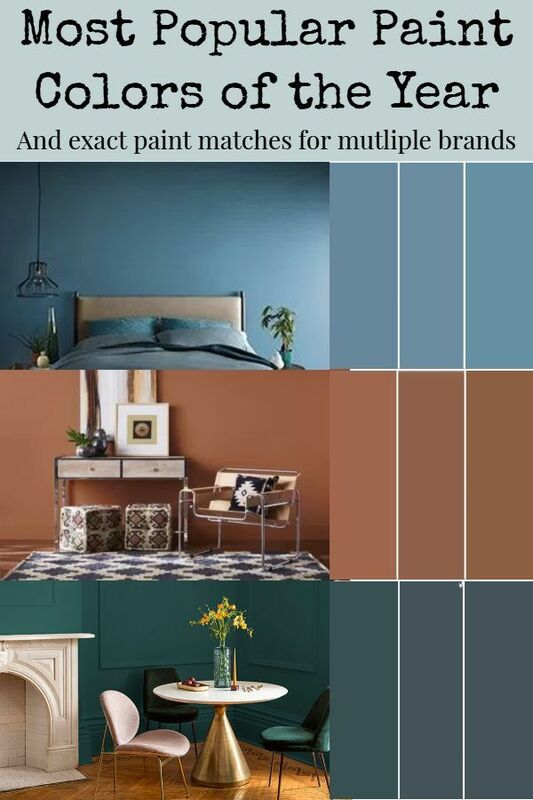 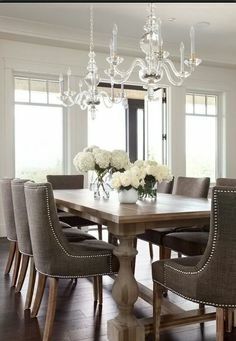 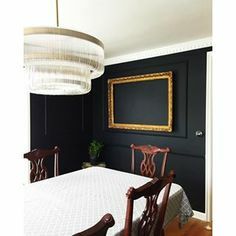 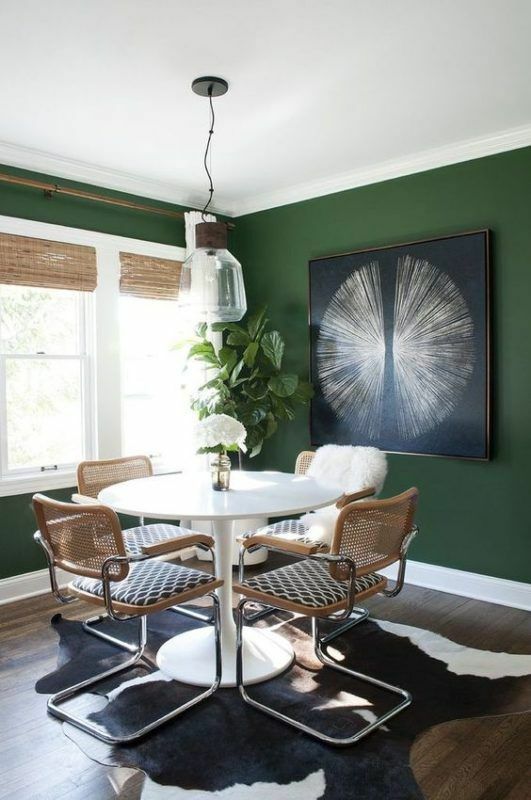 The dining room is currently very beige, and the tricorn paint color from Sherwin Williams is calling my name. 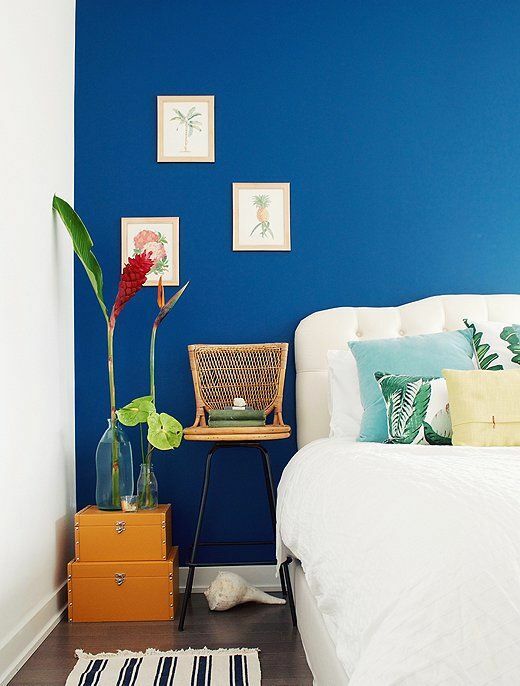 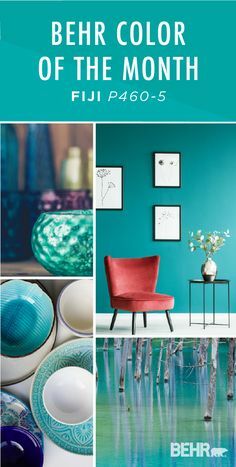 Beautiful cobalt blue accent wall with tropical accessories and artwork.